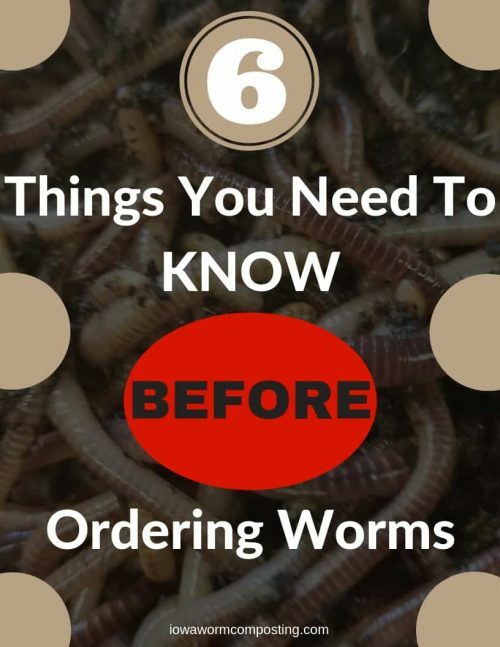 There Are 6 Things You Need To Know BEFORE Ordering Worms. Grab a copy of our FREE Guide and get started right! 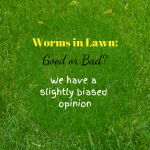 Worms in Lawn: Are They Good or Bad? 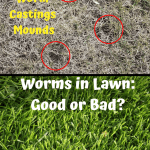 Worms in lawn… Oh My! You are tired of looking at those ugly dirt mounds in your yard. They are everywhere. Especially in the Spring. The grass is short and they make your yard look terrible. I get it… really I do. But, there are solutions. Solutions that do not involve killing all of your earthworms. We may kill some other things but we won’t be killing any worms. You might think that I will be biased because selling composting worms is my business. You would be right. I am BIASED! Earthworms are nature’s little recyclers and have been around longer than you or I. They will still be here when we are all gone. My earthworm bias comes from having a very good understanding of the incredible work they do. Let’s roll up our sleeves, get dirty, and solve your “problem”. What are these mysterious mounds of dirt in my yard? Those little silver-dollar size mounds are worm castings. They are piles of worm poop deposited by your friendly earthworms. Free of charge. First of all, worm castings are good and earthworms are even better. The suspense is over! Earthworms are good for your lawn and even better for your soil. Congratulations, if you have an “infestation” of worms, then your soil contains a lot of organic matter and is pretty healthy. Give yourself a high-five because you are doing something right. We will deal with those wretched piles of worm poop later on in this article. Have faith. Epigeic – Composting worms that live above the ground eating organic matter. These are the worms you will find in manure piles, compost heaps, leaf piles, and other above-ground litter. They do not burrow into the soil. Epigeic worms are the earthworms that are raised by worm farms like mine. Some common examples are Red Worms, European Nightcrawlers, Blue Worms, African Nightcrawlers, and Alabama Jumpers. These are NOT the worms making worm castings piles in your yard. Endogeic – Live in the top reaches of the soil. They digest minerals and make tunnels in the upper foot of soil. Every region has some form of Endogeic worm and they are very beneficial to the health of your soil. Endogeic worms do not breed well in captivity (to my knowledge) and are irreplaceable. You can not buy these worms. Endogeic worms aerate the soil, digest minerals, and make the nutrients and minerals available for plant-life. We especially do not want to kill these worms because they do so much good work for us. They are also not the source of those unsightly mud mounds. Anecic – Burrow deep underground but come to the surface to eat and reproduce. Some Anecic worms make tunnels over 15 feet deep. They are generally larger worms in comparison to the other types. Anecic worms are the ones responsible for causing those small dirt mounds in your lawn. The most common type of Anecic worm is the Canadian Nightcrawler. The Canadian Nightcrawler is common in the Northern 2/3’s of the U.S. and in Canada. They are also the most utilized fishing bait in the U.S. and Canada. Canadian Nightcrawlers are also all wild-caught. No one has been able to farm them economically because they breed and grow so slowly. They also need refrigeration to survive and this just adds another layer of expense. Anecic worms are also extremely beneficial to healthy soil. They deeply aerate the soil and increase the moisture holding capacity of the soil. Anecic worms are also a major food source for birds and rodents. Rodents such as moles can be a much worse problem than the worms they feed on. We have found that a good organic treatment for grub control really mitigates the mole damage in your lawn. More on this later. We do not want to kill our Anecic worms either. 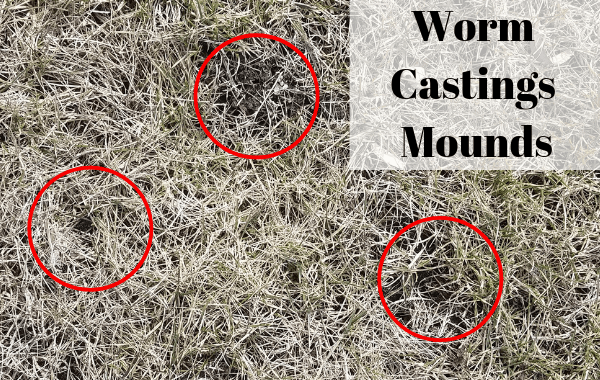 Those piles of worm castings are strife with plant-loving nutrients and minerals. A problem can become a benefit with the right outlook and a little sweat. Worms in your lawn are SO beneficial for your soil. The aeration that earthworms provide helps to maintain optimum soil health. The worm castings add microorganisms to the soil and the bio-cycle provides needed nutrients for plant-life. This is an all-natural and organic process that doesn’t require chemicals. This is a good thing! My lawn has seen no chemical fertilizers or pesticides for over 10 years and it has never looked better. Fewer weeds, more drought-resistance, and thick, lush growth because of healthy soil and earthworms. Here is a FREE TIP. If you are a gardener, please stop tilling your garden. This practice kills earthworms and even worse… disturbs the fungal-hyphae and mycelium webs in the soil. The mycelium is important to soil health and once disturbed…takes years to recover. Mulch, Mulch, Mulch instead! Learn to keep your garden soil covered year-round. You will have more worms in your garden and healthier soil. I have expounded the benefits of worms for this entire article without offering any solutions. I am biased toward worms but will offer some solutions which won’t kill your worms. Everyone will benefit, I promise. First of all, there will be no earthworm killer or earthworm repellent in this program. We are going to embrace the power of worms and use it to our advantage. The problem is going to become a benefit. This is really a lawn treatment FOR WORMS. A lawn treatment for healthy soil. You are going to have a lawn that your kids can play on. A lawn your pets can run on. A lawn that needs less watering. Grass between your toes and grass in your hair. A healthy and happy outdoor space! You will not need any Warning Signs on this lawn. Send the chemical lawn-maintenance company packing. They can take their signs with them. We are NOT going to have a chemical and pesticide-laden wasteland of a yard. 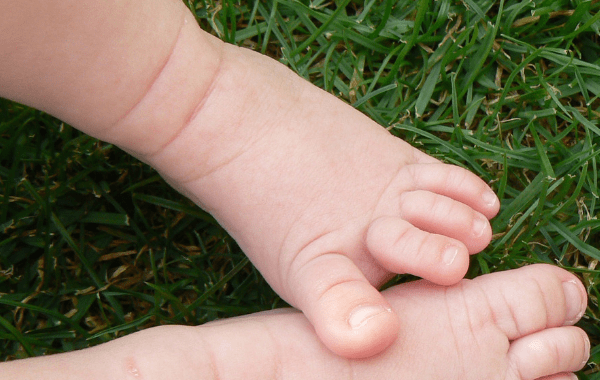 The kind of lawn that kills everything…including our kids and pets. The birds, bees, insects, worms, and even the fish. Eventually us! No, No, No! Sound like a plan? Good…let’s go. The good news first. If you are wondering how to get rid of worms in your lawn, it means that your soil is already fairly healthy. Certainly restorable. The worms wouldn’t be a problem if your yard was a chemical wasteland. A different mindset is required to succeed. You may need to put up with a few more obnoxious weeds at first. You are going to have to get used to longer grass that needs to be cut more frequently. Your lawn may not look as nice for a few years. This is not an overnight process and it does take some extra work. However, after a few years, you will have the best-looking lawn in your neighborhood. 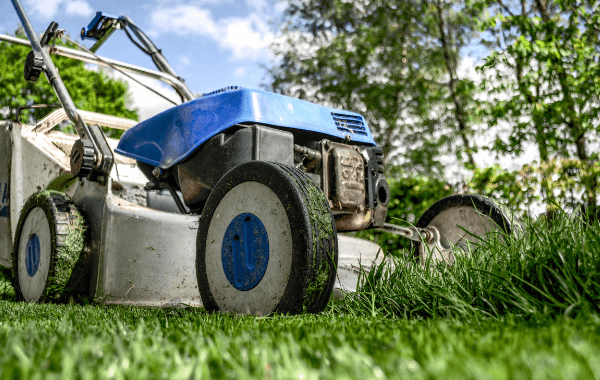 The scope of this article is not to teach you everything about organic lawn care. I will discuss the highlights and give you an idea of what is involved though. Here is an Amazon link to a book that I have read and followed. It is written by Paul Tukey and is my source of information about organic lawn care. It works if you do. The book costs about 1/2 the price of a bag of chemical fertilizer and is much better for you too. 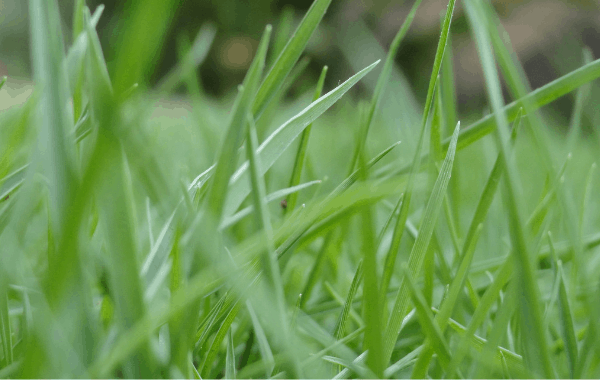 This is going to be a brief overview of organic lawn care fundamentals. Please read the recommended book for more information. Remember those worm mounds on your lawn? We are going to tackle those first thing in the Spring. Pick up the sticks and any other accumulated debris in your yard. Find your flexible-tined rake. Those mud mounds are everywhere and you need to rake them around until they don’t bother you anymore. We don’t want to pick them up. Just disperse them kind of evenly…they are gold for our soil. Black Gold! This is the only time of the year that they should be visible. Your power mower will disperse them for you the rest of the year. One problem solved. You will need to test your soil. There are many soil labs around that can do as much or as little testing as you need. You get what you pay for. Note: Many newer houses have sod that was laid on pure clay backfill. I would get a VERY good soil test if this was my situation. You need a good accurate starting point. You may need to start over after bringing in some topsoil. You will need to surface apply 1/2 inch of good organic compost once or twice a year. In the beginning, you will probably need to apply compost twice a year, Spring and Fall. After your lawn is more established, once a year is usually sufficient. Note: You want OMRI certified organic compost. Look on Google for a local source. Don’t borrow trouble by getting FREE compost from your city composting facility. It is full of chemically-treated grass clippings from your neighbor’s yards. You can rent compost spreaders from tool rental places. This is needed for a large yard. You may be able to use a wheelbarrow and rake in a SMALL yard. This organic matter feeds your worms and the microorganisms in your soil. The compost itself will have microorganisms adding to your soil’s biological diversity. The lifecycle of these microorganisms creates needed nitrogen for your grass. Mow your grass 3 to 4 inches tall. This was a big adjustment for me. I was used to shorter grass. Leaving your grass taller keeps it healthier and reduces evaporation. This helps to keep weeds crowded out. It WILL require more frequent mowing because it will start to look scraggly in a few days. Leave your grass clippings on the lawn. No bagging unless you have seeding dandelions or REALLY long grass. It is an adjustment you will need to get used to. Healthier soil and no chemicals are the payoffs. Your first year will be a lot of work controlling weeds. You will get intimately acquainted with your lawn. You will hand dig individual weeds and spray others with organic weed killers. This is the hardest part of establishing your organic lawn. After a few years, this task practically disappears. Healthy grass crowds out most weeds. Remember the payoff. Earthworms get a bad rap! I can’t count the number of times I have heard “worms are eating the roots of my grass and killing it”. Not true…Not ever! Earthworms do not eat living matter. They only eat what is dead. The food source has to be decomposing for the worms to eat. What IS eating the roots of their grass and killing it is GRUBS. Grubs can be pretty detrimental to a nice lawn. They are also a favorite food of moles. Moles are the SCOURGE of a beautiful yard. Moles eat grubs AND earthworms. I have found that controlling the grub population greatly diminishes the mole damage. I have to control the grub population. Moles go wild in my yard if I don’t. You may or may not have a big problem in your area. We are going to control the grubs organically though. No pesticides. Safe Kids and safe pets. Remember? First, we have to determine what kind of grub is the problem. Your extension agent can help you identify them. More importantly, your extension agent can tell you what time of the year, to apply your natural control for best results. In my area, I have white grubs and Japanese Beetle grubs. They require two entirely different treatments. White grubs require beneficial nematodes to control. Nematodes will not kill Japanese Beetle grubs. Japanese beetle grubs need a multiyear treatment of milky spore to control. It is worth the expense to control Japanese Beetles because when they hatch they can decimate a garden in short order. The products are readily available but need to be applied at the right time of year to be effective. Bug Sales beneficial nematodes have worked well on white grubs for us. They are applied with a hose-end sprayer according to package directions. Japanese beetle grubs are not killed with beneficial nematodes. A product called milky spores is used. This is a multi-year treatment to effectively control Japanese grubs. We had a severe infestation and it took a couple of years for effective control. Here again, application timing is important. Check with your local extension agent for proper timing in your area. If you live in the southern U.S., cutworms may be a problem. Cutworms are not worms but actually caterpillars from moths. They can chew your grass off at the roots killing it. A cutworm problem needs to be controlled. An organic solution is available in the form of Bacillus thuringiensis or Bt. for short. The caterpillars (cutworms) ingest the material and die shortly after. None of the above organic pest controls will harm earthworms, bees, or unintended insect species. I have covered some of the major pest controls. There are certainly more and you will need to do some reading. We have talked about worms in your lawn. Those mysterious mounds of dirt in your yard are caused by Anecic worms. The benefits of worms in your lawn are soil health and in turn…a healthy lawn that is safe for kids and pets. Organic lawn care was discussed and some of the steps that are involved in making that happen. Hopefully, you have discovered that worms are good for your lawn. Working with the worms, instead of against them, makes perfect sense. 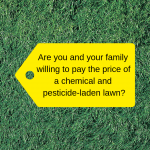 Let’s keep our lawn areas a chemical-free zone and keep our families safe and healthy. They are worth a little extra work in the yard. As always, if you have questions or would like to say something…drop it in the comments below and I will answer your questions. We love to hear from our readers. Also, check out some of the links for more information on the topics covered.